This badge was issued to James J on 12 Nov 2017. 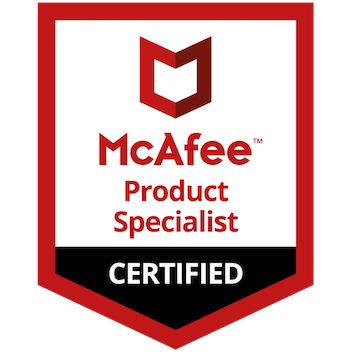 Earners of the McAfee Certified Product Specialist - ePolicy Orchestrator (McAfee ePO) certification have extensive knowledge of security management software. They are able to simplify security operations with streamlined workflows for proven efficiencies. Earners can provide security intelligence across endpoints, data, mobile, and networks.